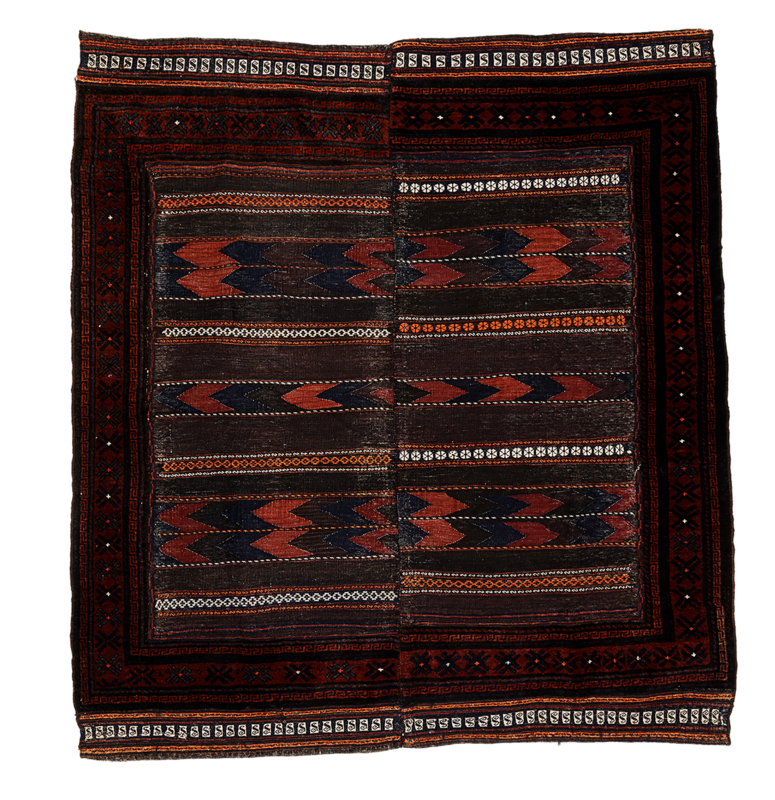 This elegant rug was formed by sewing two similar parts together to form a small asymmetrical design. 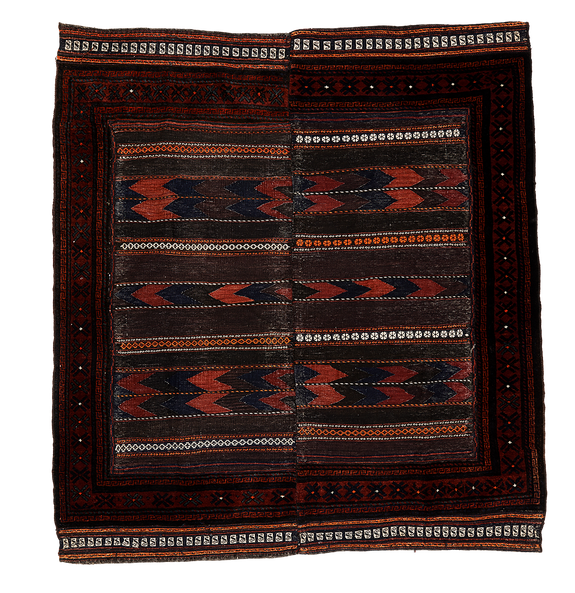 Small, typical Baluch geometrical motifs throughout. Deep natural colors, including burgundy, ochre, blue, white and orange. The wear of this authentic, hand-made piece is consistent with its age and use.